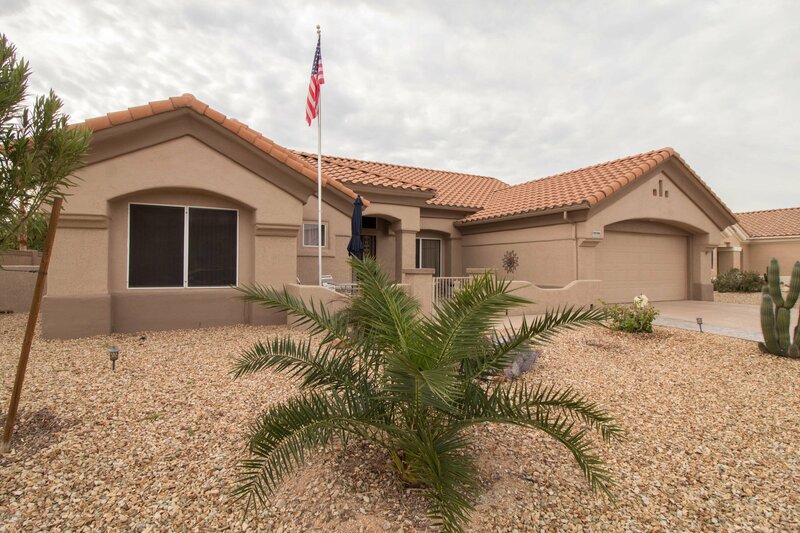 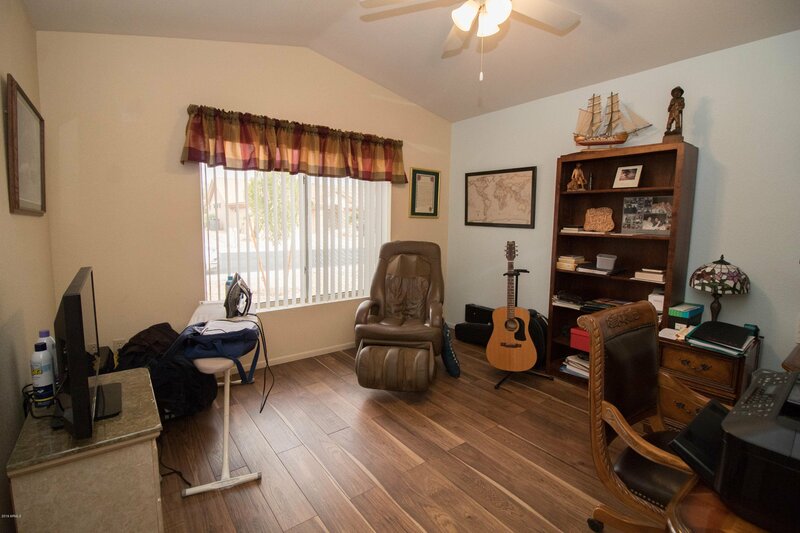 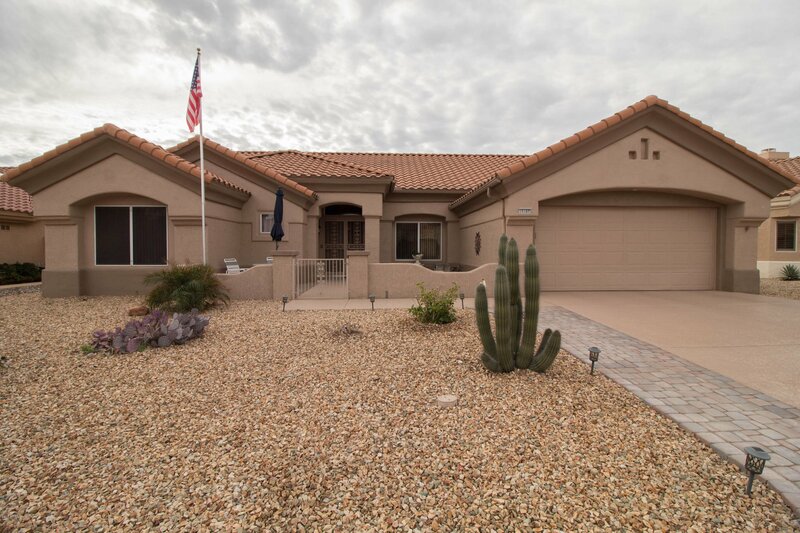 Amazing 2 bed, 1.75 bath house with 1,653 sq ft in Sun City West subdivision. 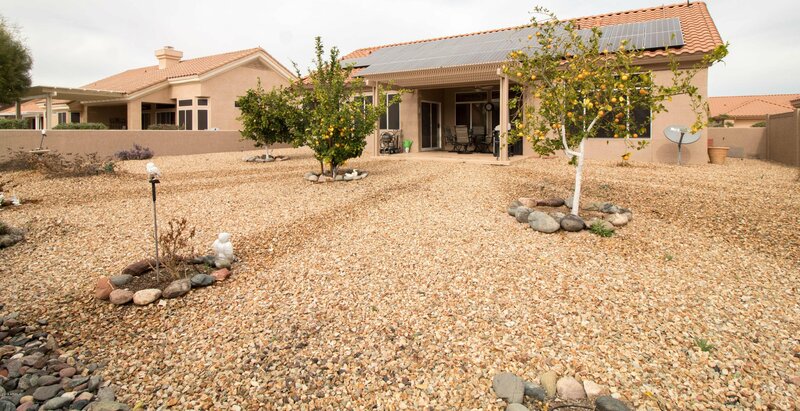 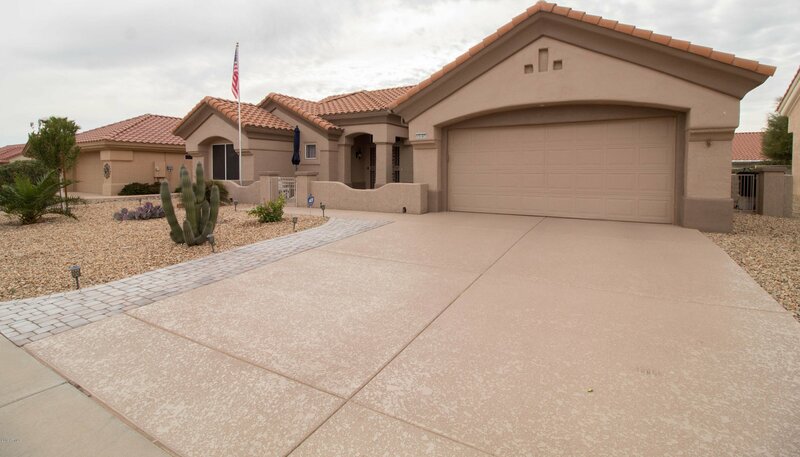 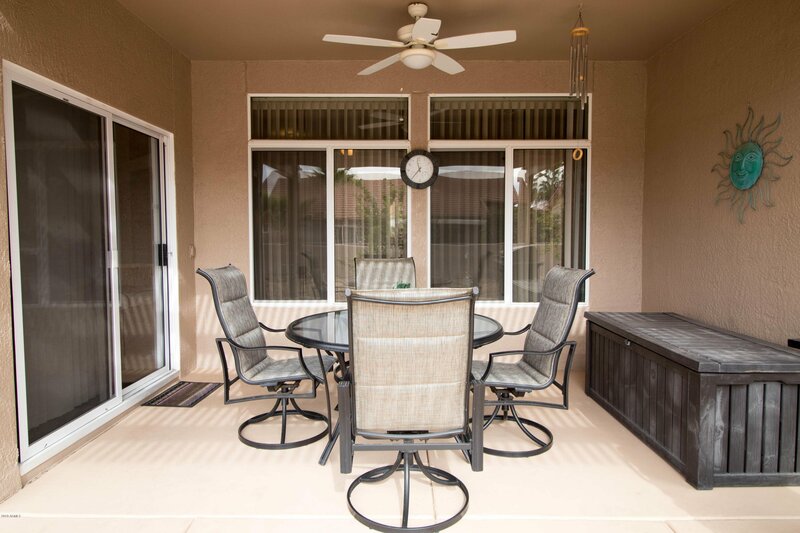 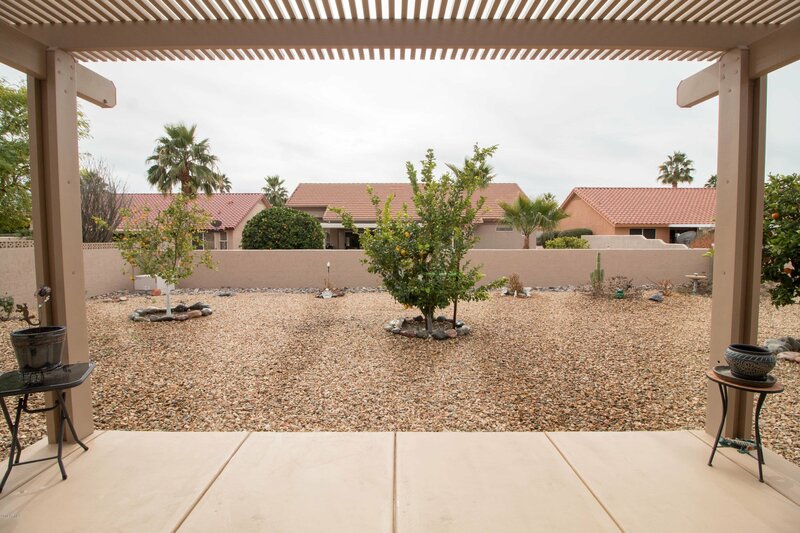 This popular Safford model features 37 leased solar panels. 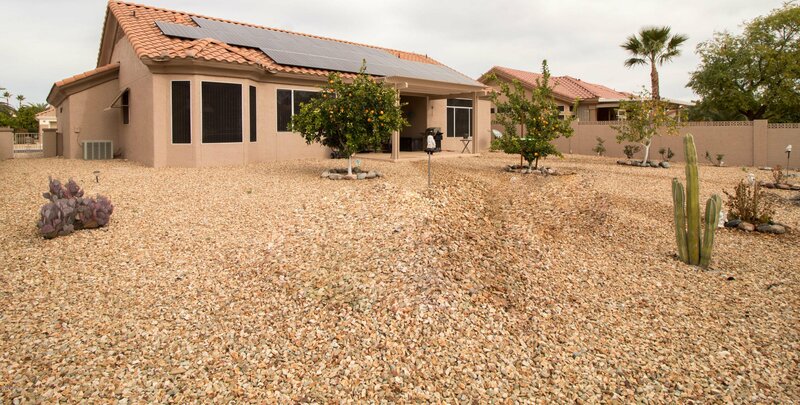 No more huge electric bill! 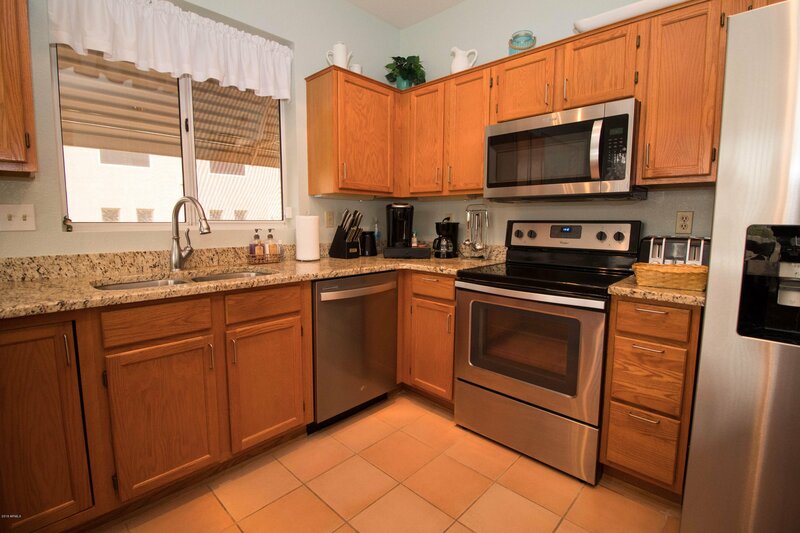 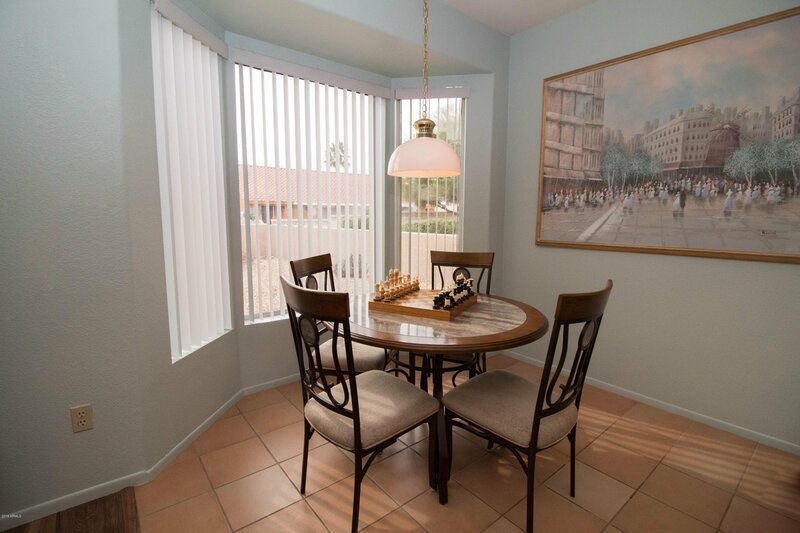 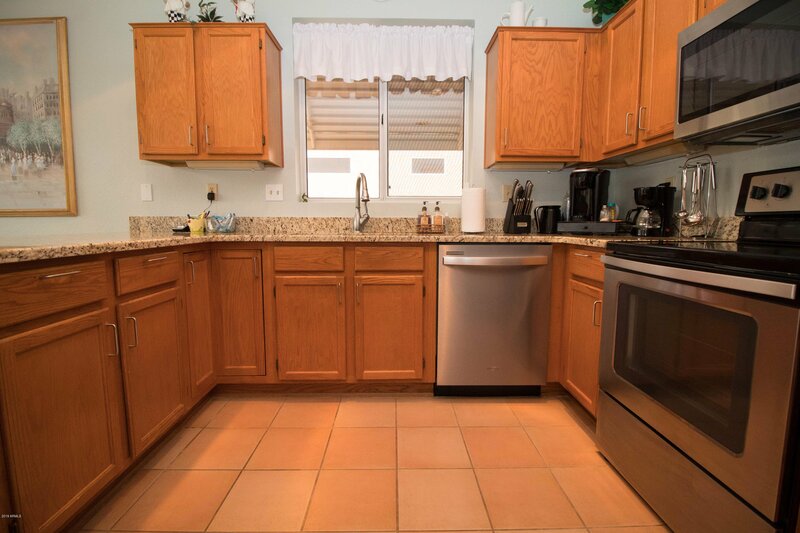 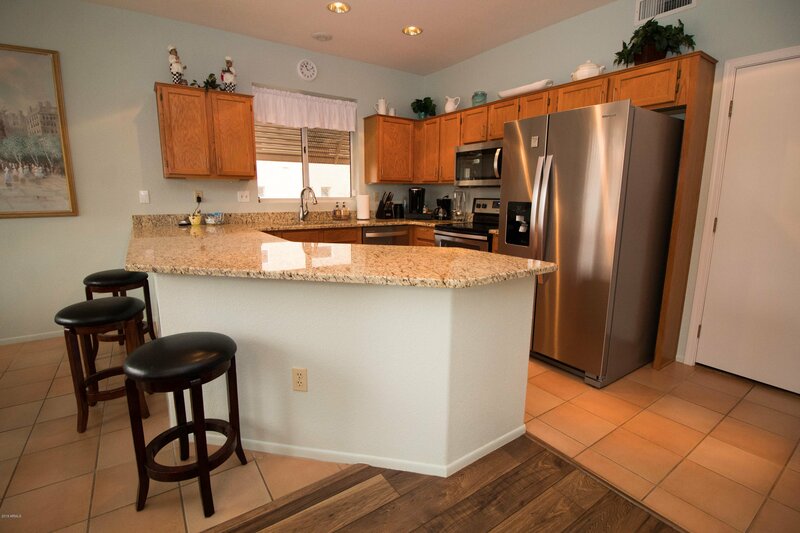 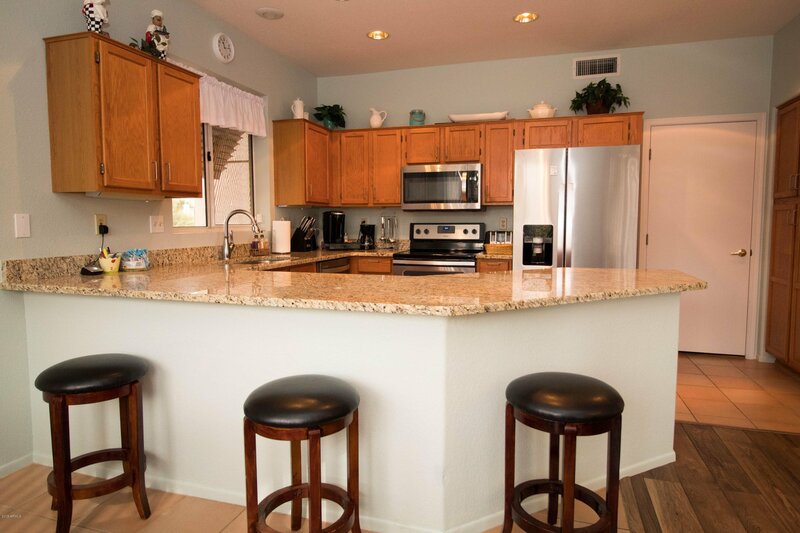 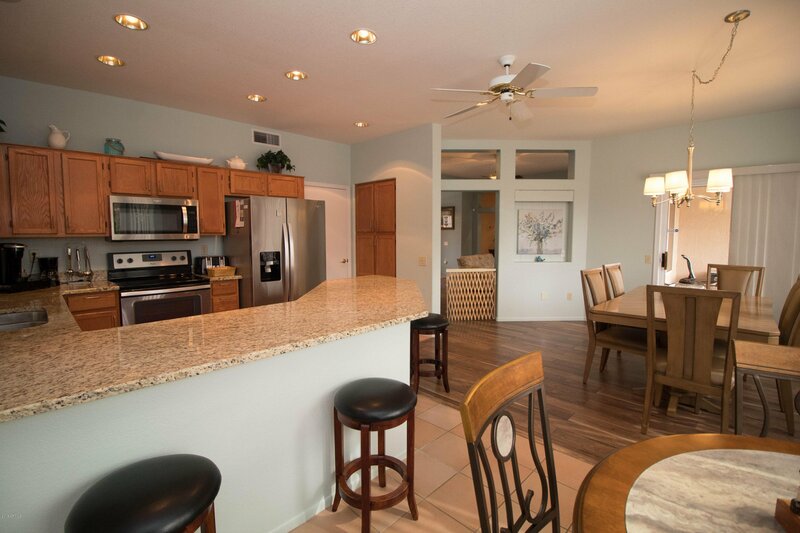 Kitchen features granite countertops, stainless steel appliances, & a pantry. 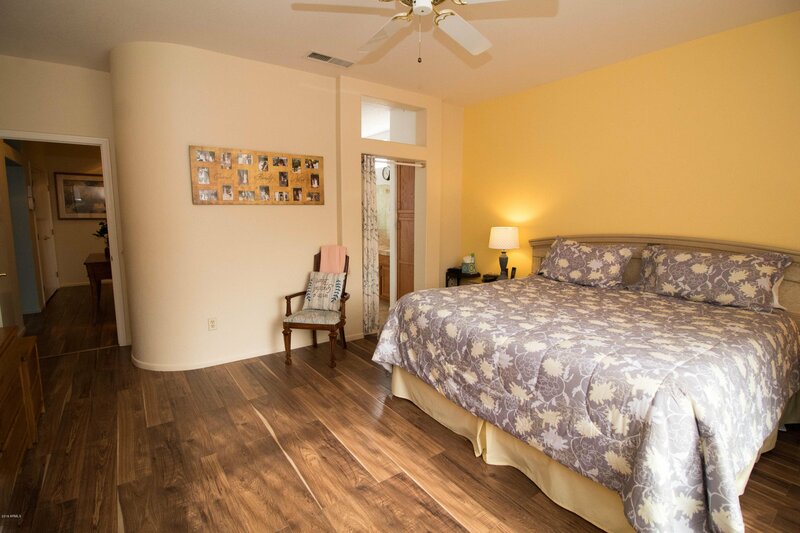 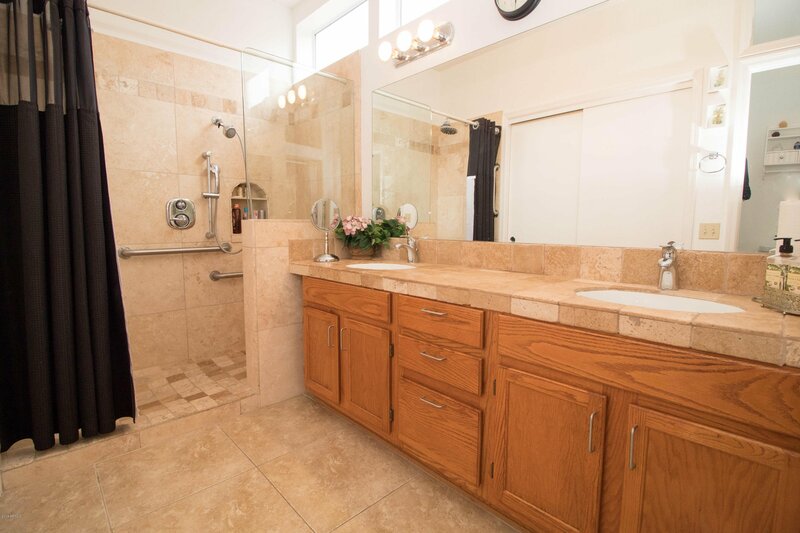 Split master suite with master bathroom featuring double sinks, private toilet room, & travertine walk in shower. 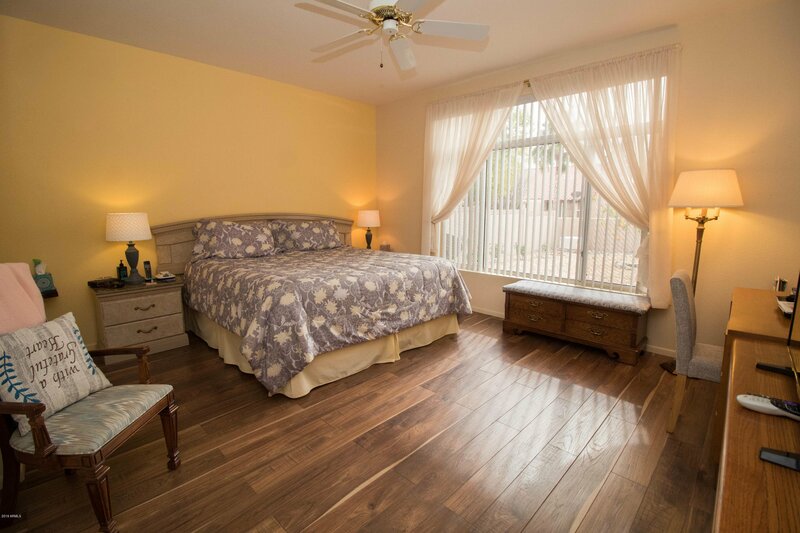 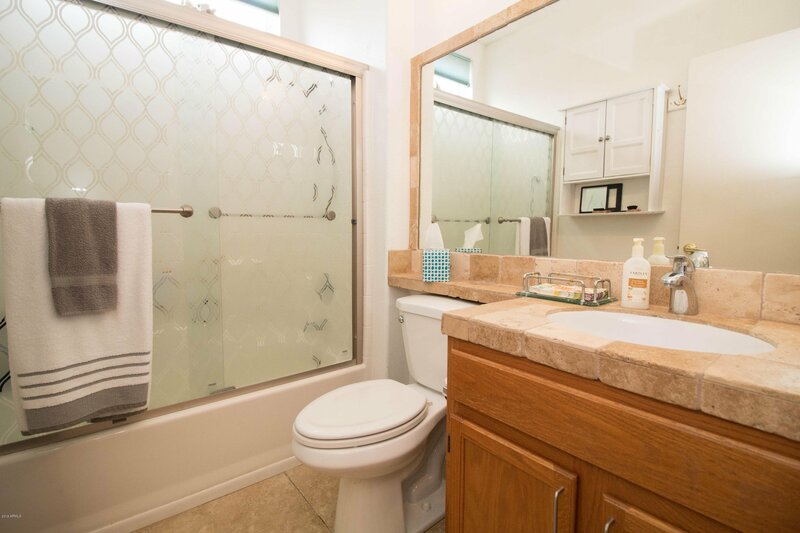 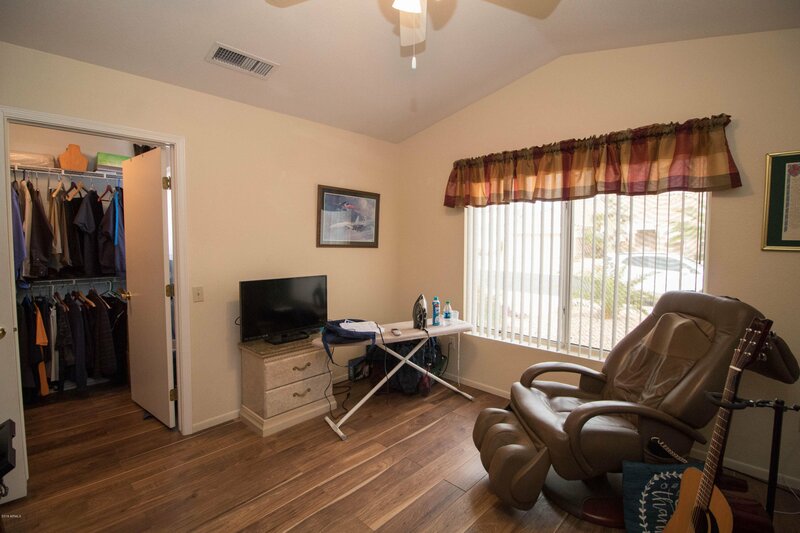 Walk in closets in both bedrooms & travertine countertops in both bathrooms. 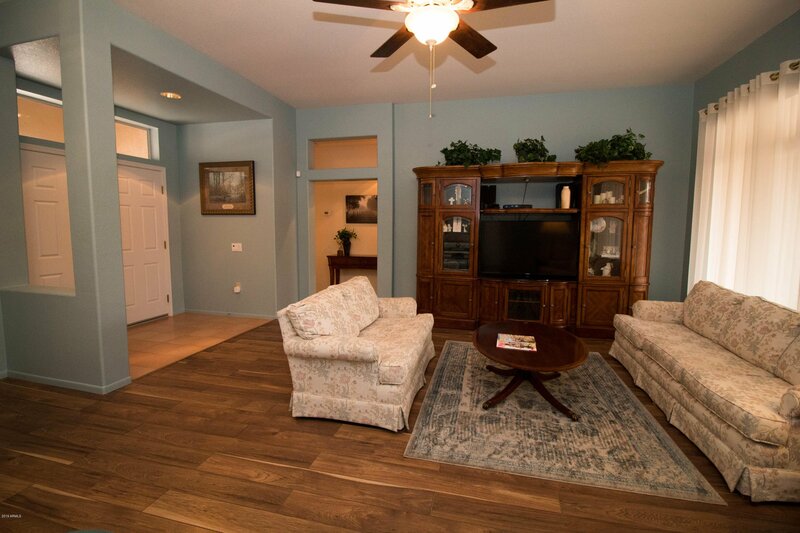 2 car extended length garage with built in cabinets for lots of storage. 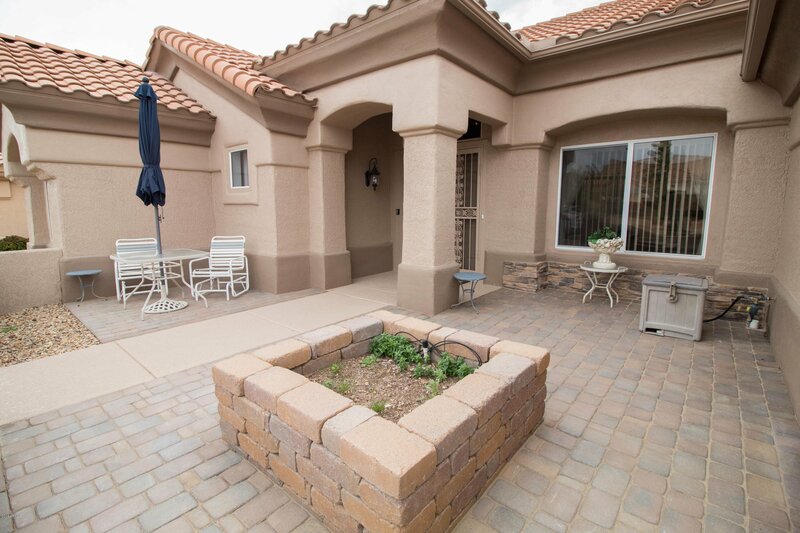 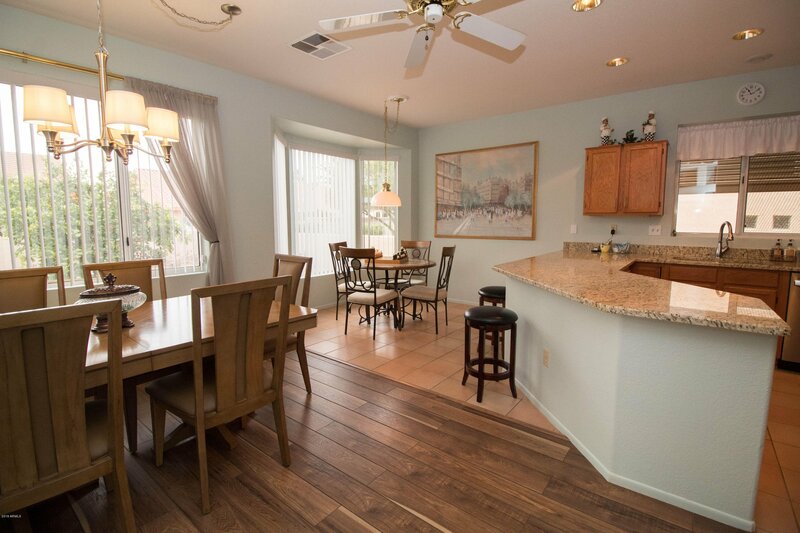 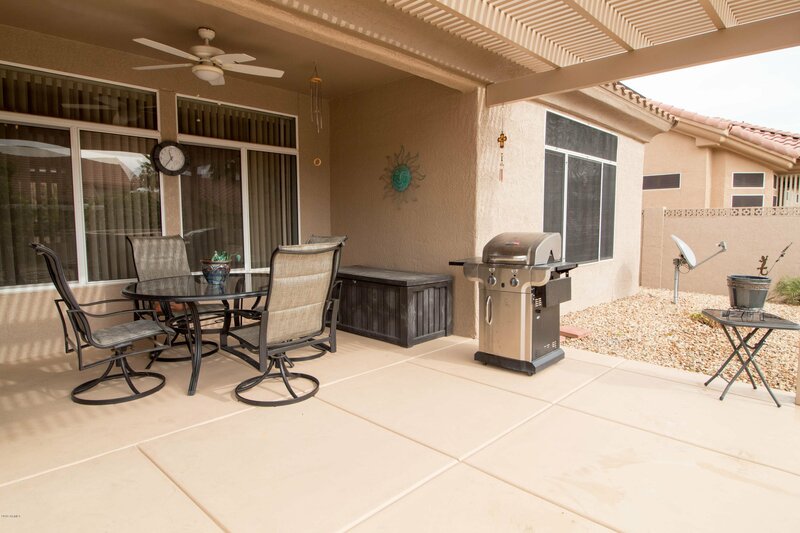 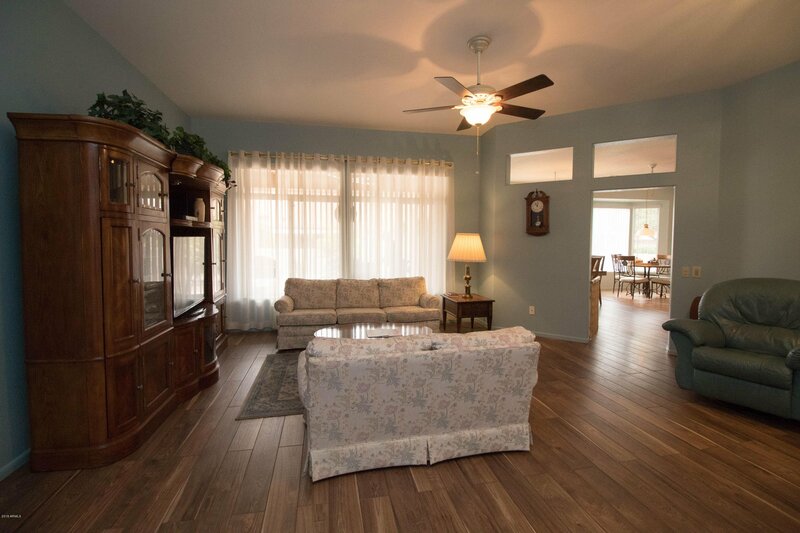 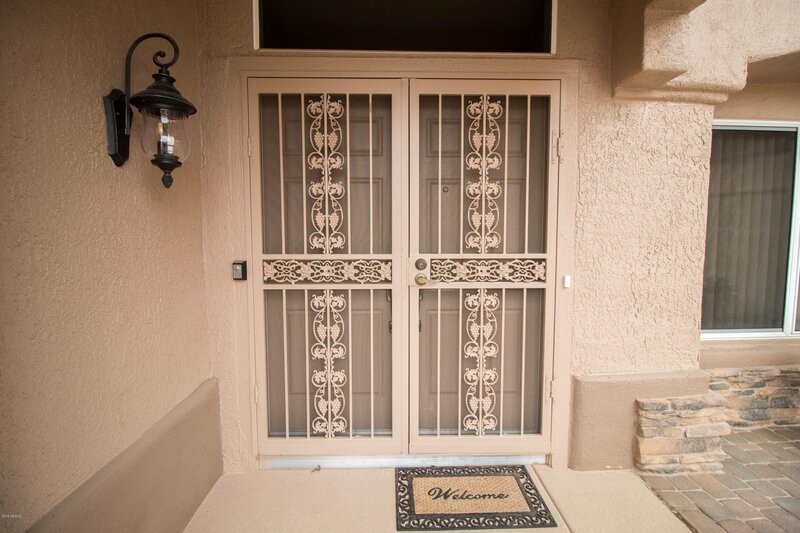 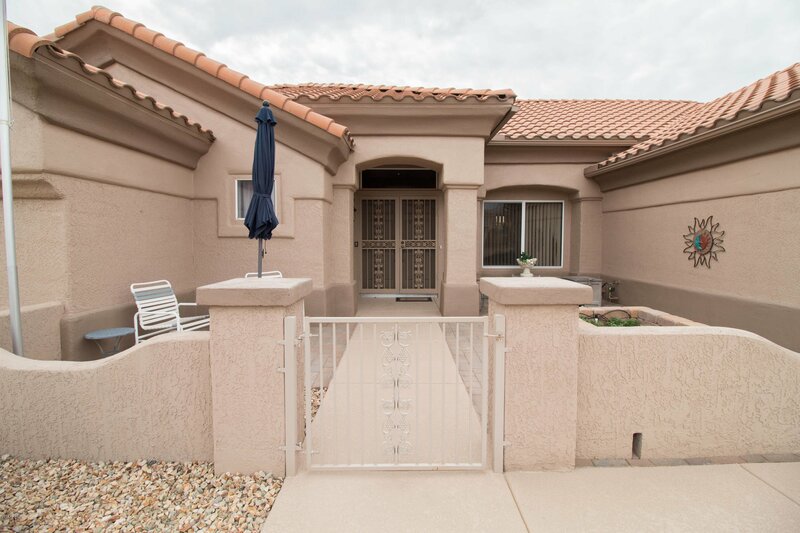 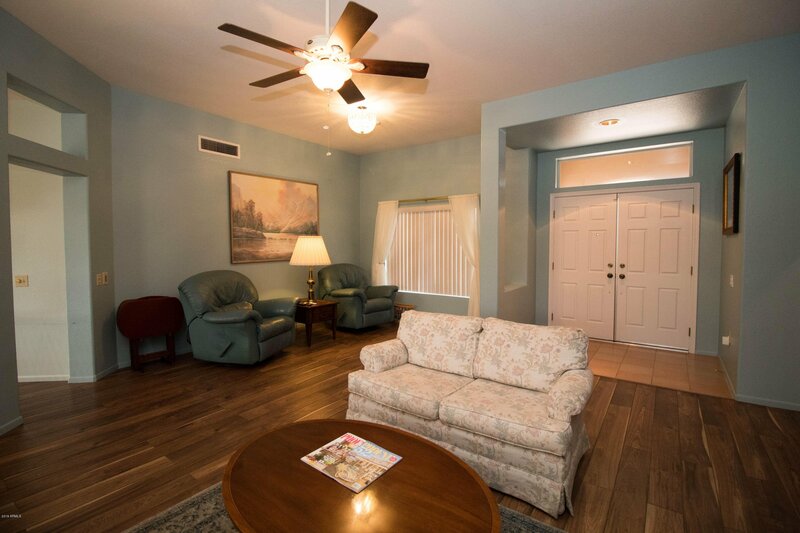 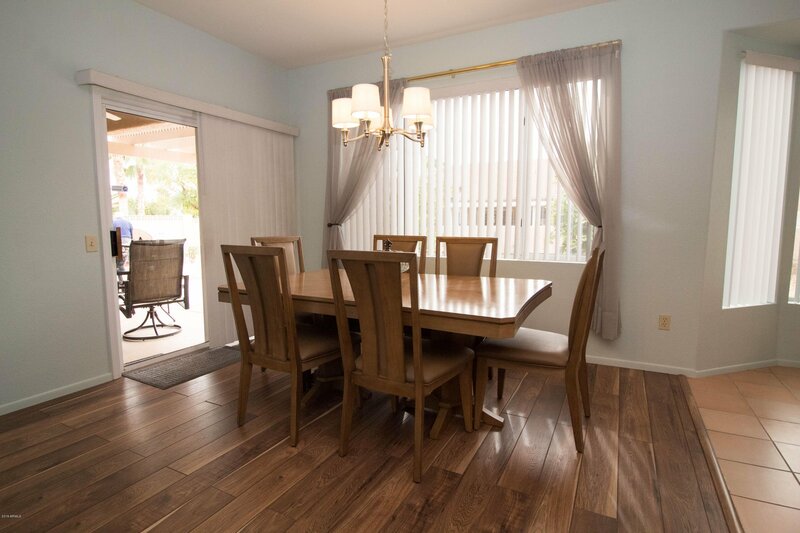 House has 9 ft ceilings, laminate wood & tile flooring, N/S exposure, & a covered patio. 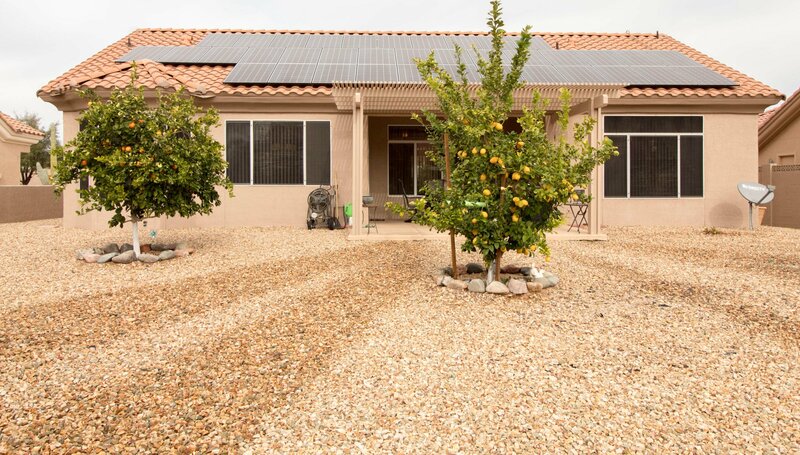 Beautifully landscaped large back yard with all block fencing & both lemon and orange trees. 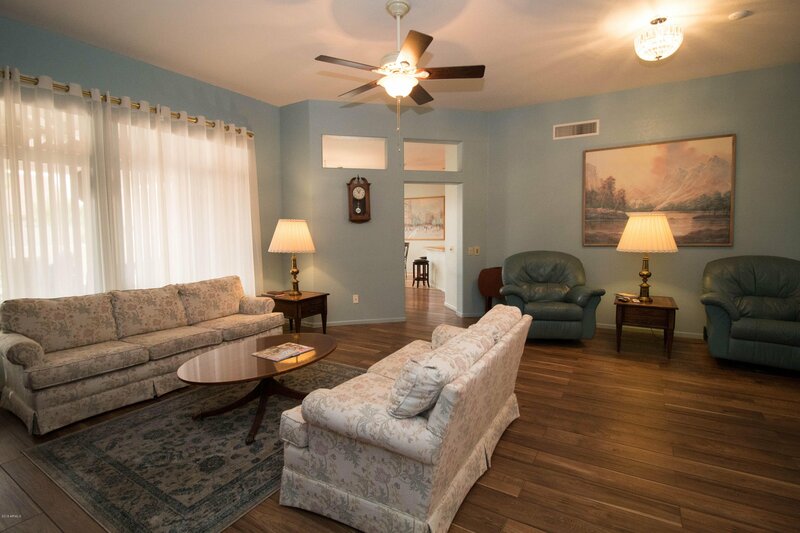 Community features you'll love; heated pool & spa, gym, golf course, tennis court, clubhouse, & media room! 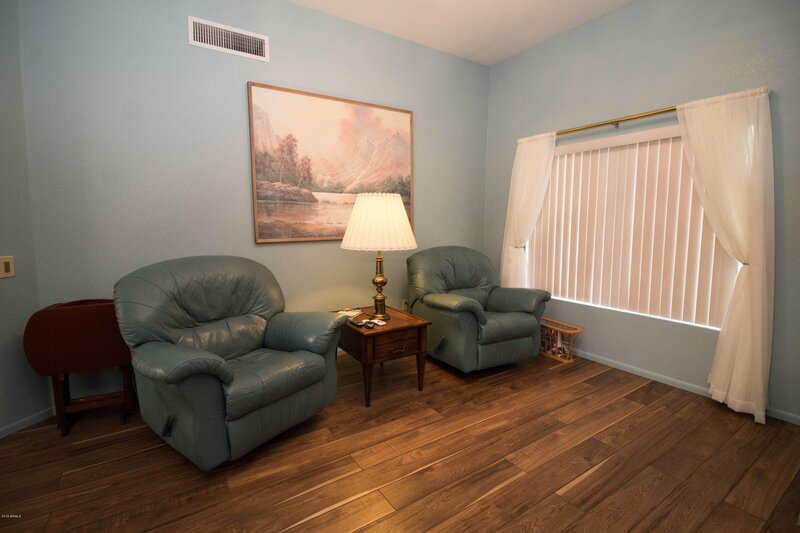 Most furniture is negotiable on seperate bill of sale. 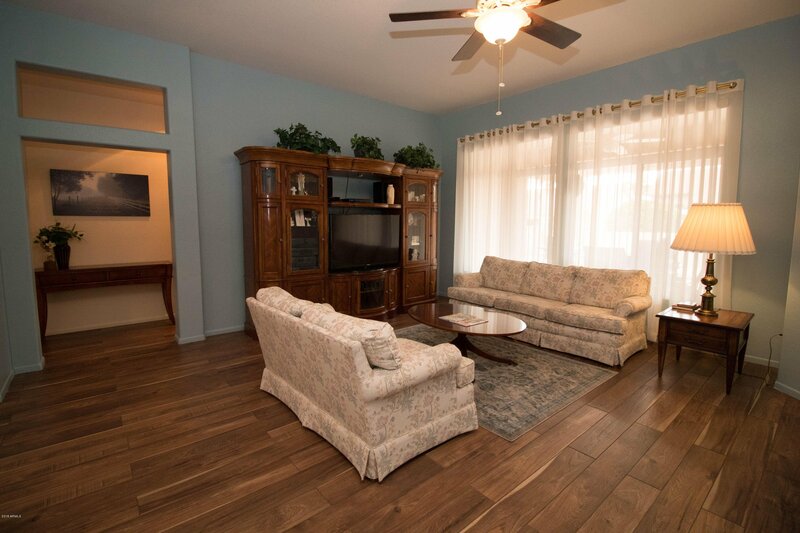 Entertainment center not included.